Mt Ngungun has a large variety of routes in a relatively small space. For decades, it has been the perfect introductory location for those considering outdoor rock climbing. Exodus Adventures amazing guides will teach you everything you need to know for the session, from belaying to climbing techniques, as well as taking care of the environment and yourself whilst climbing at the Glass House Mountains. No experience needed, just turn up for a climb! The activity runs for approximately 4 hours from 8am to 12pm). We’ll meet at the Mt Ngungun carpark, just past Glasshouse Mountains township, at 7:45am. The walk in to the crag takes approximately 10 minutes, making it a great crag for beginners to jump into the climbing scene quickly! Our guides are highly trained, fully accredited. They’ll teach the safety procedures, give climbing advice, and provide all the gear, including harness, helmet, climbing shoes and all other technical equipment. · Loose, non-restrictive clothing (tights are perfect). Check the weather forecast prior to the adventure for conditions. The crag is generally exposed, therefore a light jacket is encouraged to protect yourself from wind rain or sun. · This activity is subject to minimum and maximum numbers to run. In the event that the minimum number of participants are not available, the activity may be rescheduled. 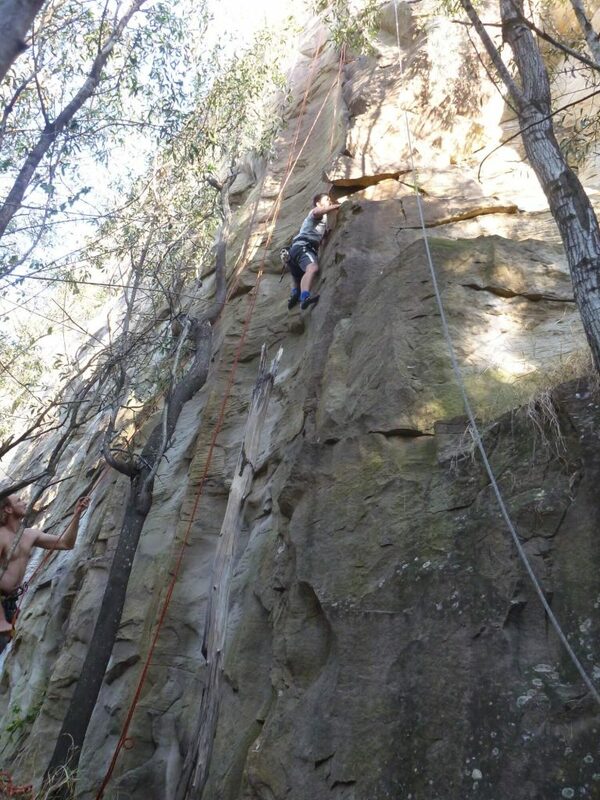 · This activity takes place in Glasshouse Mountains National Park. There are no toilet facilities on or near the mountain, so consider making a pitstop in Glasshouse Mountains township before the activity.